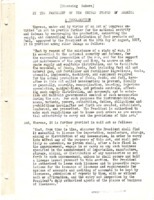 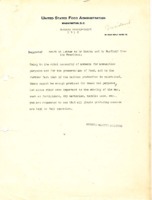 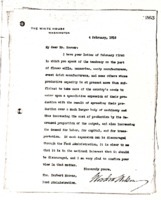 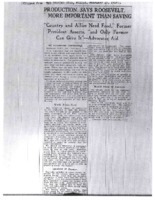 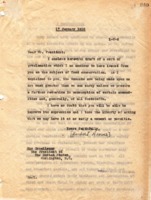 Subject contains "Food production and natural resources"
Regarding producing food on government land, Herbert Hoover defers to the Department of Agriculture. 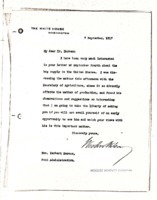 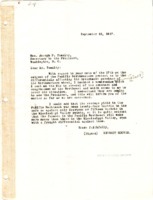 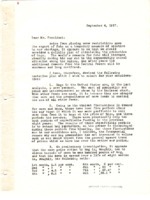 Herbert Hoover writes to Joseph Tumulty about wheat grown in the northwestern United States. 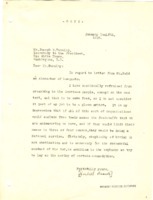 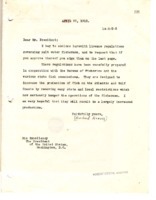 In reference to the letter from Mr. Reid, Herbert Hoover tells Tumulty that he would prefer such organizations to support food conservation efforts by excluding items from their menus that they are trying to save. 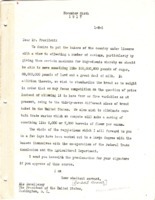 President Roosevelt urges an increase in food production.